In the early 1930s, a booking at the Glen Island Casino gained national network radio exposure for Ozzie Nelson's orchestra. After three years together with the orchestra, Ozzie and Harriet Hilliard, band's lead vocalist, they signed to appear regularly on the radio show, The Baker's Broadcast (1933–1938), hosted first by Joe Penner, then by Robert L. Ripley, and finally by cartoonist Feg Murray. The couple married on October 8, 1935 during this series run, they realized working together in radio would keep them together more than continuing their musical careers separately. 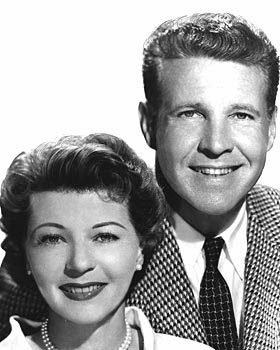 The Adventures of Ozzie and Harriet was first heard on October 8, 1944 on CBS radio, it moved to NBC radio in October 1948, then made a late-season switch back to CBS in April 1949. 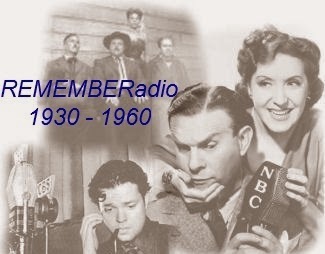 The final years of the radio series were on ABC radio network (the former NBC Blue Network) from October 14, 1949 to June 18, 1954. In total 402 radio episodes were produced. (Many of them can be heard today on RADIOthen.com's COMEDY channel.) In an arrangement that amplified the growing pains of American broadcasting, as radio "grew up" into television, the Nelsons' deal with ABC gave the network the option to move their program to television. For most of the series the announcer was Verne Smith.